We introduce ourselves as a company and professionals engaged in manufacturing of heavy engineering components for Power, defence, Steel, Cement, Oil and gas Industries. 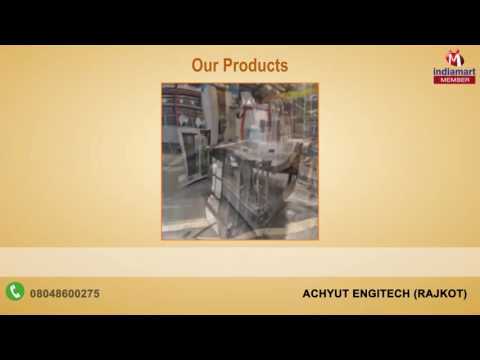 ACHYUT is accredited with ISO: 9001 certifications. We are also manufacturing Process equipment like Heat Exchanger, Condenser, Pressure Vessel. 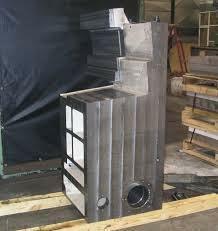 We also undertake the repairing, redesign, and modernization of existing heat exchanger of all types. Our endeavor is to serve clients with right quality, on-time delivery and competitive price. We value customer focus, continual improvement, and mutually beneficial supplier-customer relationship. 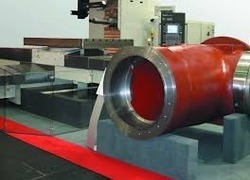 The Company is dedicated to fabrication, machining and assembly of heavy and accurate jobs of Power and other heavy engineering sectors in general and yours in particular. We strive to make job-work creative and state of the art. Our endeavour is to deliver on time and be quality oriented. We aim at building a strong machining and manufacturing base for serving clients with right quality, timely delivery and competitive price. Keeping this in mind ACHYUT has team of excellent engineers, Workmen who live to ACHYUT's spirit and work towards creating excellence and delivering excellent engineering services on time in most economical manner. 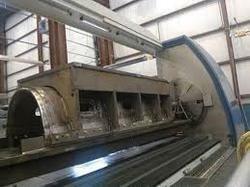 All machines here are CNC and have capability to do precise and accurate work. Even lifting capability is designed to take up very heavy loads. With innovation as driving force, ACHYUT ENGITECH shall provide world class quality of engineering services contributing to the development of Nation's core Infrastructure. Our approach of teaming up highly experienced and trained production specialists together with line people will make us competitive in the market. We have a team of professionals who are well versed with your industry and related product. It is our firm conviction that systematic action is bound to lead us to our goals. Rich experience of team members will stand us in good stead. Their hand on experience in all facets of heavy and precision machining would contribute to meet ours as well as yours goals and objectives in the capacity of a job-work vendor. A team of selected persons drawn from Planning, Production and Quality Assurance are slated to undergo training in advanced countries. This way we are developing a cadre of dedicated workers, supervisors and managers. Promoters and stake holders of the company investing on this identified project are seasoned businessmen with Engineering & Management base, who stand on strong footings. We have set up and maintain a huge and an advanced infrastructure at Achyut engitech, which is spread over a large area of land Rajkot, Gujarat, India. Under the supervision of our mentor, Mr. Jaydeep Kanani, we have segregated our infrastructure into several units, to ensure that all the on-going processes are carried out in streamlined manner. In addition to this, our infrastructure comprises administration, manufacturing, in-house quality testing, warehousing & packaging and sales & marketing units. We are empowered with a sophisticated and spacious warehouse, which assists us in keeping a ready stock of our manufactured products. Further, we have segmented our warehouse into several sections and subsections to store the products systematically and categorically. This division also assists us in easy & quick retrieval of the stored products at the time of delivery.